TOKYO (Reuters) - A Thai teenager born and raised in Japan lost an appeal on Tuesday against a lower court ruling that upheld his deportation order, highlighting the country's deep reluctance to accept foreigners even as its population ages and shrinks. 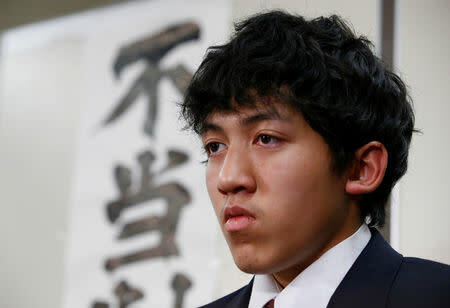 The Tokyo High Court ruled that Utinan Won, a 16-year-old high school student living without a visa, should leave Japan. Won's mother had already left Japan after lower court judges said her son could win residency if she returned to Thailand. "Of course I want to stay in Japan," Won told reporters after the ruling. "I'd waited so long for this decision. I'm so sad and pained that it was made so quickly." The High Court judges made their ruling in little more than 10 seconds, with cries of "Why?" and "Terrible" coming from a packed public gallery. 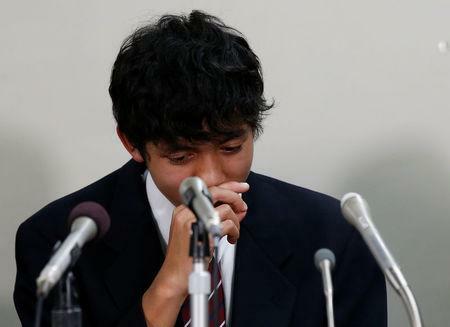 Won's case has drawn sharp focus on the plight of hundreds of children who, like him, live on "provisional release" - a status that allows those without visas to stay in Japan while banning them from working and travelling freely. Last month, Reuters exposed the agonising pathway to residency offered by the Japanese immigration authorities and courts to some families living on provisional release: Children can stay in Japan legally if their parents return to their country of origin. Tokyo District Court judges said in June Won could win a special residence permit if his mother - who at the time was also on provisional release - left Japan, and if he found another guardian. Won's mother, Lonsan Phaphakdee, returned to Bangkok in September to give her son a chance to continue life in the only country he has known. Won now lives with a Japanese man who has been supporting the family. The High Court judges said in a written ruling: "We must say that the (lower court's) decision and the deportation order are legally legitimate." Although Won does not read or write Thai, he is able to speak the language and is young enough to adapt to life back in Thailand, the judges said. Won's lawyer, Koichi Kodama, said the judges did not take into consideration the fact that the mother had left Japan and only re-evaluated evidence submitted to the lower court. Wearing his school uniform and sneakers, Won remained impassive throughout the ruling, his head bowed slightly. Representatives from the government, the defendant in the case, were not present at the hearing. His lawyer said Won had not yet decided whether to appeal against the latest ruling.